Standing alongside our examinations of South Africa and France, it's another eye-opening look at the world of UFO studies across the globe. Part 1 of the Bill Chalker interview can be found HERE. Full Preview: We begin the second half by examining another aspect of Australian Ufology: the history of organized UFO studies Down Under, including the fascinating story of Edgar Jarrold, the "father of Australian Ufology." Looking at the situation in America, where serious minded scientists at first supported UFO studies and then, following the Condon Report, backed away, we find out how closely that situation was mirrored in Australia. This leads to Bill telling us about how he was granted direct access to the Australian UFO files in 1982 and discovered nuclear physicist Harry Turner, who played a pivotal role in clandestine military investigations into UFOs. Bill shares a stunning story of how friction between US Air Force officials and Donald Keyhoe resulted in the derailing of the first official Australian investigation into UFOs during the mid-1950's. Bill also shares the remarkable story of how Harry Turner almost put together a "rapid intervention team" of military types to investigate UFO sightings and landings in Australia. He also reveals the shocking turn of events that stymied the RIT project, which surrounded the fallout of the Condon Report, that was felt all the way in Australia. We also find out how extensively the government investigated UFOs in the decades after that. Bill talks about an intriguing case, that he uncovered in the official UFO files, from 1973 in Western Australia, which co-incided with a nuclear alert and raised tensions between the US and Russia. Jumping back to organized UFO studies, we get Bill's opinion on the state of Ufology in Australia today. Bill explains how the situation has changed, as far as organized UFO groups, in Australia since the inception of Ufology there in the 1950's and '60's. He talks about attempts to create a national network of UFO groups in Australia and some of the roadblocks that arose that made such an enterprise difficult. Looking again at the government's role in investigating UFOs, we find out if there has even been an Australian version of Project Blue Book or an MOD defense desk job similar to the one formerly held in the UK by Nick Pope. Bill compares official Australian UFO investigations with civilian investigations and explains why the civilian ones seem to have more credibility. We get Bill's thoughts on the possibility of a UFO cover-up permeating the Australian government. This segues into some discussion on the Westall School case of 1966 and why Bill thinks it is a good example of potential government cover-up. Wrapping up the government / military discussion, we find out if there is much deference by the Australian officials to the US or UK governments, with regards to UFO issues. On this topic, Bill tells us about the 1953 Drury Film which was sent to America for analysis and returned with large portions of the film deleted. Getting a little bit wild, we find out what Bill knows about the longstanding rumours of an alien base at Mt. Zeil and/or the Pine Gap facility in Australia. Following that, we look at the next big pillar of influence on Ufology in Australia: the media. Bill tells us about how the media coverage of the UFO phenomenon has changed over the years in Australia. Bill details his observation that there is a "dumbing down" process at work and not engaging the substantial nature of the phenomenon. He talks about some of his experiences working with the media in Australia. We then find out how extensive the paranormal media is in Australia as compared to in the US. Tackling the last puzzle piece in the big picture of Australian Ufology, we discuss the perspective of the everyday public with regards to the UFO phenomenon. Bill details some interesting poll numbers that have surfaced in Australia with regards to belief in UFOs. Scraping the bottom of the proverbial barrel, we discuss UFO skeptics, creatures that sadly exist in Australia as well. Going off in a whole 'nother direction, we discuss the world of Chinese Ufology, which Bill has investigated. He gives some great insight into how the world of civilian Ufology had developed in China since the 1970's. He reveals the remarkable popularity with which the subject has been embraced in the country. We discuss the difficulties of the language barrier between these two worlds, as most of the key Chinese Ufologists don't speak English. Given the perceived tyrannical nature of the Chinese government, we find out how they feel about the civilian UFO research groups that have sprung up in that country. Bill reveals what he has learned about official government investigations into UFOs in China including a bizarre story of an alleged alien infestation in one small town. Wrapping things up, we find out what's next for Bill Chalker in the near and distant future. Full Preview: We kick things off with the usual bio/background on Bill Chalker and find out how he got interested in the UFO phenomenon. We begin our investigation of Australian Ufology by first finding out about the history of the phenomenon Down Under. He tells us about a key case from 1868 in Australia which resembled a contactee-type event and another key case from 1927 which resembled "an early version of the Mothman prophecy." We also talk about some of the Aboriginal history related to UFOs. We compare and contrast the evolution of the UFO phenomenon in Australia with its American counterpart. This includes some fascinating perspective on how the UFO subject was viewed by the Australian media and public during the early years of the "modern UFO era." Bill tells us about the first big national UFO flap in Victoria, Australia in 1954. We find out if there has been any change in description of UFOs, as has seemed to be the case here in America. Next, Bill talks about one of the key cases in Australian UFO history, starting with a detailed recounting of a 1954 sighting by an Australian Royal Australian Naval pilot, which drew national attention in Australia and was studied by famous US Ufologists Dr. Jim McDonald and J.Allen Hynek. We find out about the uniqueness of UFO waves in Australia, which Bill says "have a pretty distinct pattern." Bill tells us about the "Father Gill case" from 1959 in Papua New Guinea, then an Australian colony. Bill recounts the 1978 Valentich case, which saw a pilot disappear after a UFO encounter, a story which gained global prominence in UFO circles. We also find out about the Mundrabilla case of 1988, another UFO encounter that gained worldwide prominence. Bill explains how this case changed the tenor of UFO reports in Australia and served as a cautionary tale for UFO witnesses in the country. Looking at the 1990's, Bill tells us about how the abduction phenomenon took the country by storm and pushed UFO reports to the wayside. We then find out about the two most prominent abduction cases in Australia, starting with the Kelly Cahill case. Bill shares a decision he made, with regards to the case, that he later says he grew to regret. The other key abduction case discussed is Peter Khoury's abduction experience. Bill recounts Khoury's initial confusion over the abduction and the revelation of what had happened after seeing a billboard for the paperback release of "Communion" in Australia. This leads to Bill talking about Khoury's 1992 experience, that resulted in the recovery of physical evidence, the research of which would become the basis for Bill's book "Hair of the Alien." Bill gives a detailed account of the testing done on the hair and the results from those tests. He goes over, in-depth, the four phases of the investigation into the purported ET hair and the bizarre DNA results that have come back from the testing of the hair. He also updates us on the progress of the case since publication of "Hair of the Alien." We find out the extent of which the DNA findings have been verified by outside researchers. He also talks about some of his other esoteric forensic investigations, including the "alien claw" case and Bill gives details on the results of his investigation into this case. He also talks about his forensic investigation into the Betty and Barney Hill case. Bill Chalker, born in Grafton, New South Wales (NSW), Australia, was educated at the University of New England, graduating with a Honours Science Degree (B.Sc. Hons.) with majors in Chemistry and Mathematics. Since 1975 he has worked in the food industry as an industrial chemist, laboratory manager and quality manager. Bill Chalker is one of Australia's leading UFO researchers and has written extensively on the subject. 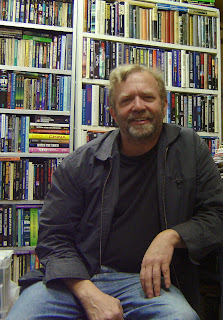 He is a contributing editor for the International UFO Reporter and coordinates the NSW UFO INVESTIGATION CENTRE (UFOIC). 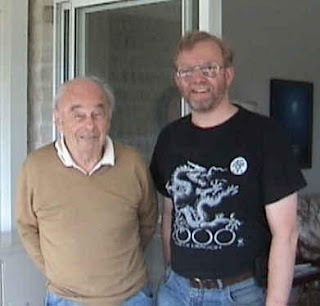 He was the Australian representative for the Aerial Phenomena Research Organisation (APRO) from 1978 to 1986 and NSW state representative for the Mutual UFO Network (MUFON) from 1976 to 1993. In 1996 Bill Chalker's book on the Australia UFO experience, "The OZ Files: the Australian UFO story", was published in Australia by Duffy & Snellgrove. 2005 saw the publication of his second book "Hair of the Alien" which details his forensic investigation into the Peter Khoury abduction case. In the current newstand edition of the Australian magazine Ufologist in my UFO History Keys column I wrote a piece entitled "The general sum of knowledge - UFO Encyclopedias." It surveyed the encylopediac treatments of the UFO subject. Just after completing this piece I came across another interesting book that took a different approach. The Chambers Dictionary of the Unexplained came out of the UK late in 2007 and has just appeared in bookshops in Australia. It is a weighty 760 page hardback with over 1,300 entries that tries to give a "wide ranging and balanced guide to unexplained phenomena." Edited by Una McGovern with contributions from the likes of Jenny Randles, Bob Rickard and Karl Shuker it gives a good general coverage of the UFO subject. Its dictionary format has each entry beginning with a "definition" followed by paragraphs which expands on the subject. "Possibly the most celebrated UFO researcher in the southern hemisphere, Chalker has spent four decades collating alleged physical UFO evidence in Australia." While "physical evidence" has been a primary focus for my research - from UFO landing cases ("physical traces") through to forensic DNA mediated investigations of alleged alien abduction cases (a possible "alien DNA paradigm"), I was pleased to see references to some of my other focuses such as historical cases (1868 Parramatta) and official investigations (specifically my comprehensive access to the Australian government UFO files between 1982 and 1984). While a single general "unexplained phenomena" volume cannot give a comprehensive coverage of individual subjects the Chambers volume is a welcome and informative addition to reference works that cover this fascinating area. Others include "The Rough Guide to Unexplained Phenomena" by Bob Rickard and John Michell and "Unexplained!" by Jerome Clark. All three in their own ways excel in many areas and give readers insights into the diversity of the unexplained.